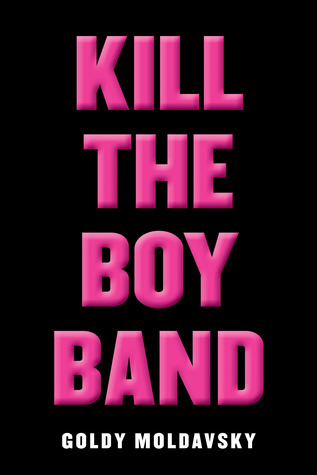 Let me start with this - I, myself, am a fangirl of a boy band. 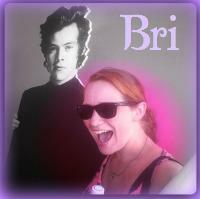 If you couldn't tell from my review picture (the one of me with Mr. Styles) I am a fan of One Direction. Ask me about their break and I will dutifully tell you that they will be returning in 2017 while internally I will be bawling my eyes out because we all know what a break really means in the land of boy bands. I lived through N*Sync's break....they still haven't made a comeback...except during Justin's MTV performance a couple years ago. But I'm still waiting for them. So going into this book I was absolutely positive that I was going to be in love with this story. I felt as though this book was written for me. Because here I am expecting a story about just some crazy fangirls who get to experience what every fangirl dreams of. What I got was a satirical book that, to be honest, had it's hilarious moments. I found myself laughing at the absurdity of what these characters were getting themselves into. I found myself picturing which boy was which from One Direction in The Ruperts...because it's quite obvious that the inspiration behind this book was One Direction. And because I am a fangirl of One Direction I found myself to be offended at times. While I know that the truth of fangirling is plain and simple; we're all crazy, I also know that there are levels of craziness. I would consider myself a mild fangirl, and this book basically just says that fangirls of boy bands are just flat out insane and will do anything for their boy band. Like I said before - this is heavily satirical, but you still can't help but feel a pang of guilt over how you act as a fangirl. The book is made to be funny, it is not meant to be something that makes you think twice about your fangirl ways. But it will definitely make you stop and go "wait....which kind of a fangirl am i?" And then it hits you with the mystery. I wasn't expecting the twist, even though it's kind of obvious. But because of the humor in this book I wasn't quite prepared. So when I got to the twist it hooked me and I just HAD to know how it was going to end. I have mixed feelings about this book - if you couldn't tell. From the hilarity, to the confusion of what kind of a fangirl I was, to how was this book going to end?! It's a quick read, and if you, yourself, are a fangirl you might want to give it a read.